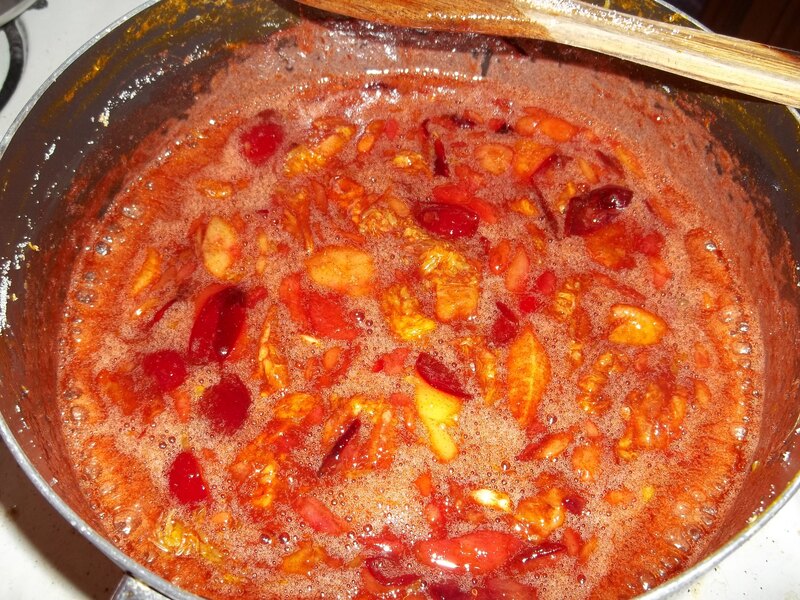 This entry was posted in Uncategorized and tagged brandied plums, christmas chutney, chutney, chutneys, jam, jams, jellies, jelly, jelly bag, orange-plum jam', pectin, plum chutney, plum jam, plums, smoked chicken, smoked garlic, smoked meat, smpked pork. Bookmark the permalink. Haha, I know! 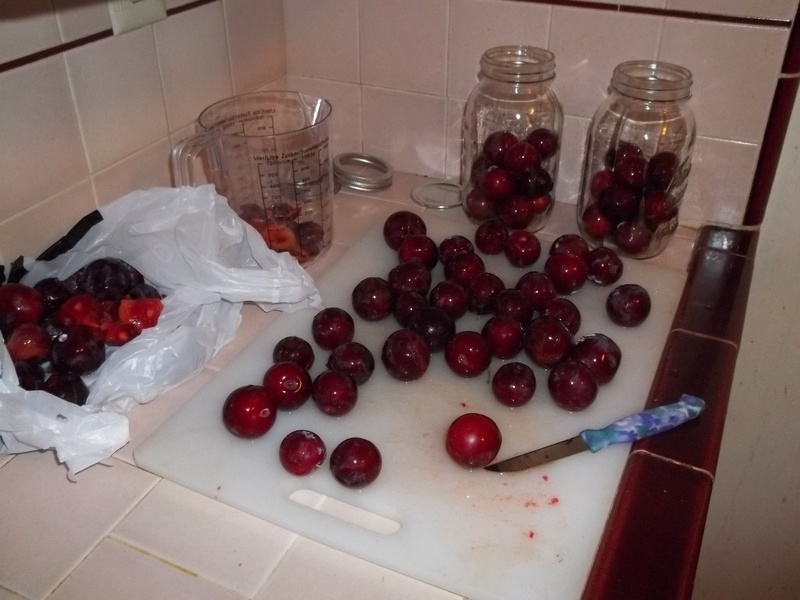 The brandied plums were soooo easy! 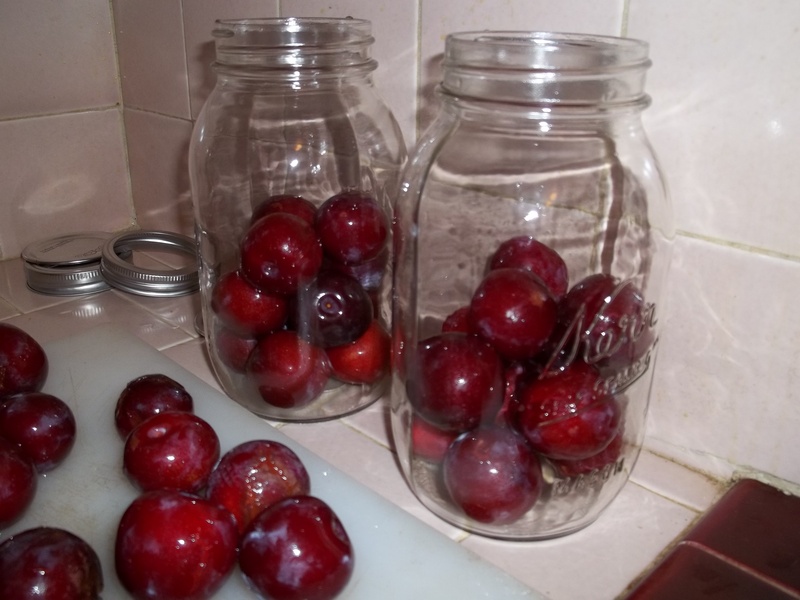 For the brandied plums, do you have to anything other than putting them in the jars and sealing them up? 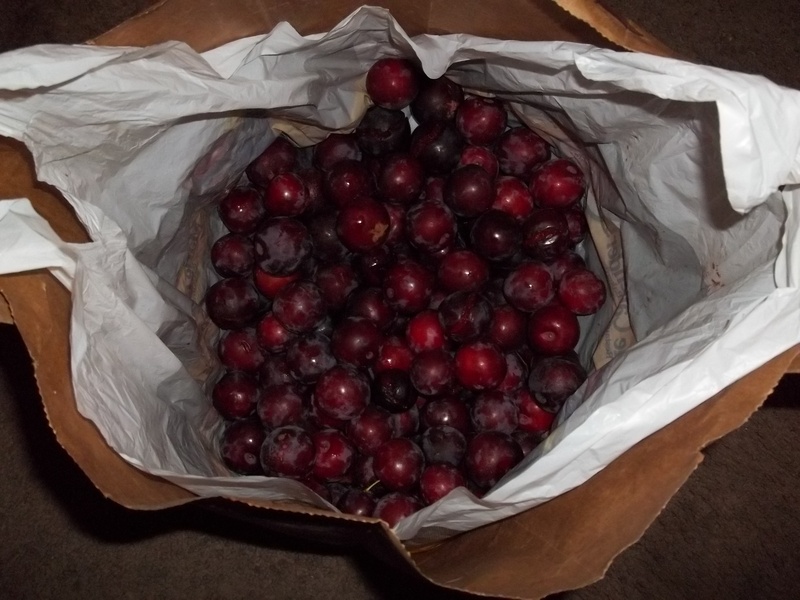 I don’t currently know how to can, so I’d hate to do something that would ruin the plums, or worse, render them dangerous. How long do they keep? Does any brandy work? It’s really simple. If you don’t seal the jars by boiling them in a pressure cooker, you can just close the jar tightly and store the jar in the fridge. 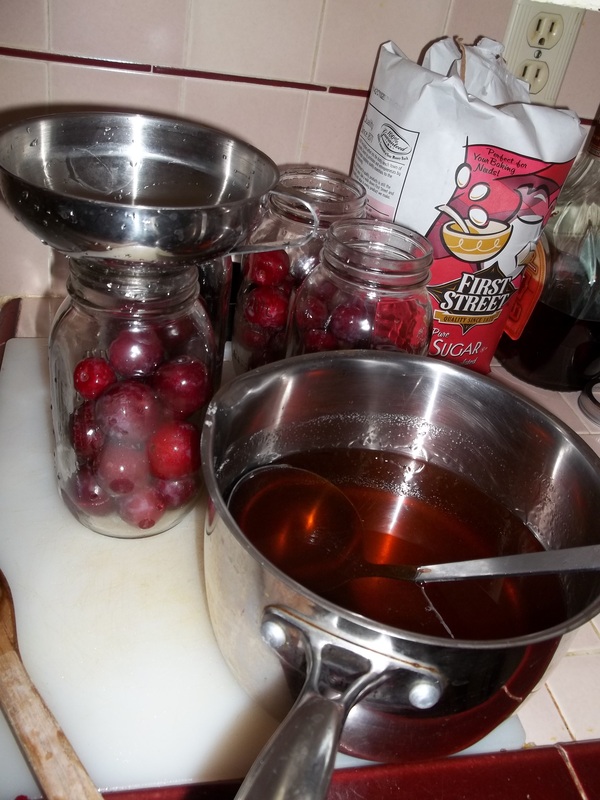 My understanding is that they keep for years if they are sealed, so I would assume that, like jams and jellies, they last in the fridge and unsealed for at least a year … brandy and sugar is quite a preservative. 🙂 And yes, you can use any kind of brandy. 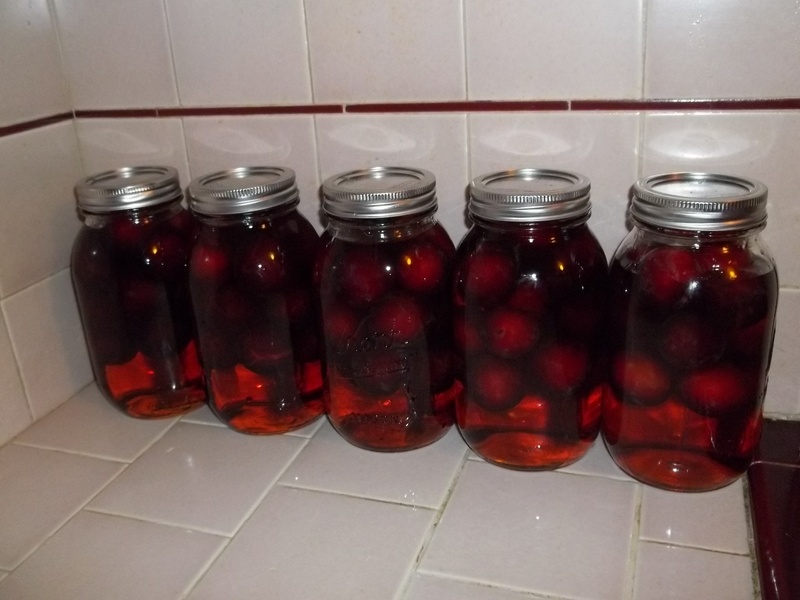 I have also seen this same recipe with nectarines, cherries, and other pitted fruit. 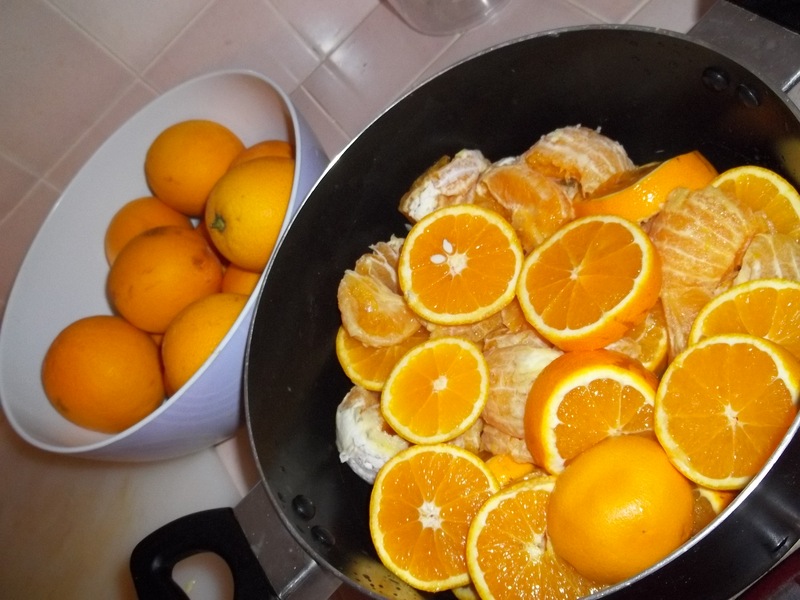 If you keep the pits in there, they will start to flavor the fruit with a kind of almond taste when the liquor starts to do its work. 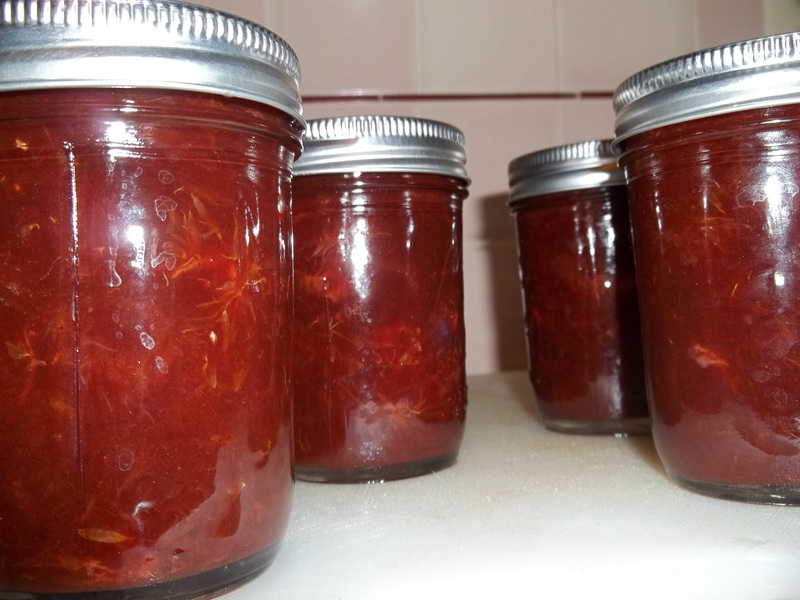 If you’re interested, I recommend learning a little about canning … for jams, jellies, pickles, salsa, etc., it’s very easy, all you have to do is boil the jars in a regular pot filled with water (called a hot water bath). 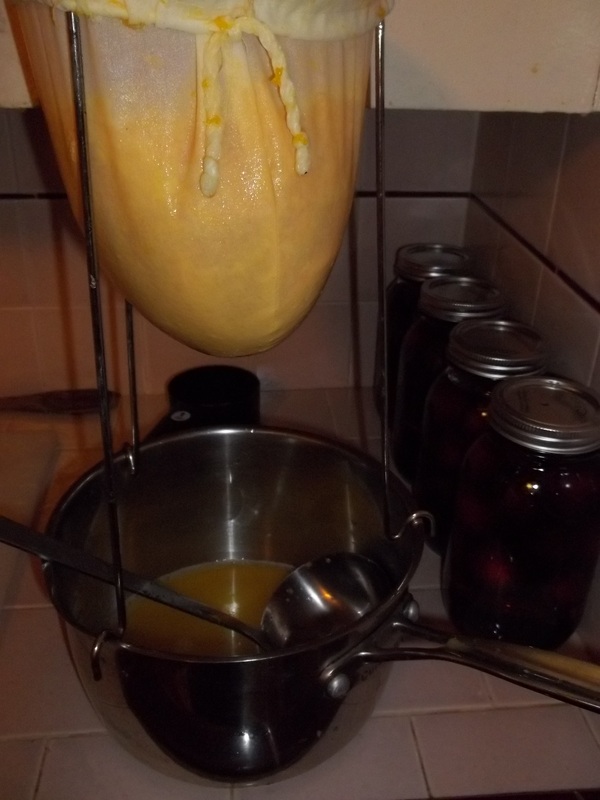 It’s when you get into canning other things that are lower in acid (like fruit and alcohol) that you need to worry about a pressure canner or other way to seal the jars. Trust me, if you’re anything like me, once you start on a few projects you won’t want to stop!